Florida’s child abuse statute is §827.03(2)(c), which makes it a third degree felony punishable by up to five (5) years. There are also other laws related to similar conduct, such as aggravated child abuse, child neglect and contributing to the delinquency of a minor, however, we’ll keep our discussion limited to child abuse only. actively encourage a person to commit an act that results or could reasonably be expected to result in physical or mental injury to a child. So, under Florida law, you do not have to physically touch a child or cause an actual injury to be convicted of child abuse. Consider these examples of what could be considered child abuse. Why? Because all it takes is the intentional infliction of mental injury. If the State can prove a mental injury (i.e. a psychologists testimony that the child is now suffering from a mental disorder, like PTSD) and that you intended to inflict the mental injury (i.e. you intended to commit the act in front of the child to cause trauma), you could be convicted of child abuse without touching the child or causing any physical injury. Why? If the State believed you intended the act (i.e. the tackling), and a reasonable person would have expected an injury to result (i.e. due to the vast difference in size and weight between the child and the parent), the State could charge you with child abuse. Child is defined as a person under the age of 18. 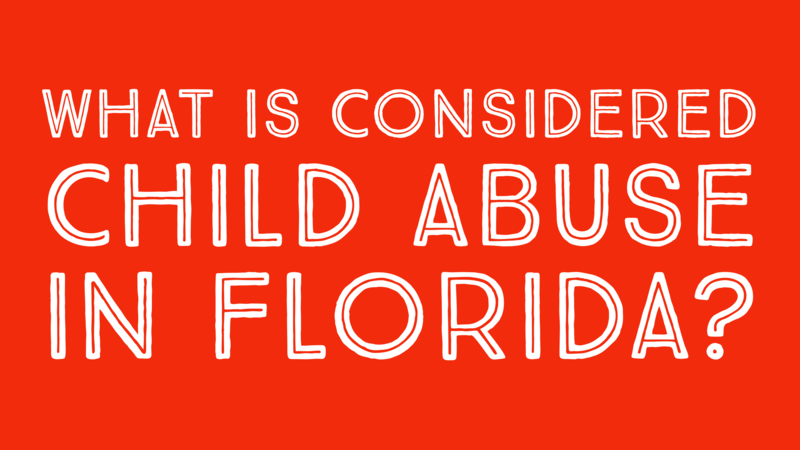 So what kinds of acts are considered child abuse in Florida? Basically, if a police officer believes that an act is child abuse, they will make an arrest. If a prosecutor agrees, they will proceed with prosecution. If a judge agrees, as a matter of law, the case can get to a jury. Then it would be up to a jury to decide. You may be able to use corporal punishment as a defense. In other words, if you spank your child on the bottom and then get arrested for child abuse, you would be able to argue to the jury that this was not child abuse, but corporal punishment by a parent as discipline for the child. Kicking a child while they are lying on the ground has been held to not be reasonable corporal punishment. Also, whipping a child with a belt to the extent that it causes welts and bruises has also been held to be child abuse. What isn’t considered child abuse in Florida? There isn’t a whole lot of guidance on what is not considered child abuse by Florida courts, however, reasonable physical discipline is not child abuse. Spankings on the buttocks that do not cause bruises or welts would probably not fall under the child abuse statute and would be ripe for a criminal lawyer to file a motion to dismiss the charges. 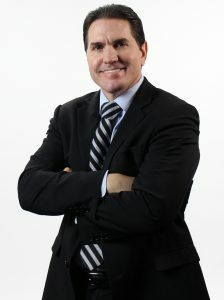 However, for the most part, whether a parent’s act is child abuse or not is going to be up to a jury after trial. A person can raise the defense of parental discipline and argue that the act was reasonable physical discipline for misbehavior under the circumstances. This defense applies to a parent or a person acting in the parent’s place. This defense can be raised even if there is physical injury. However, it would be up to the jury to determine whether the act was reasonable. So, the more severe the injury, the less likely a jury would be to find that the discipline was reasonable.